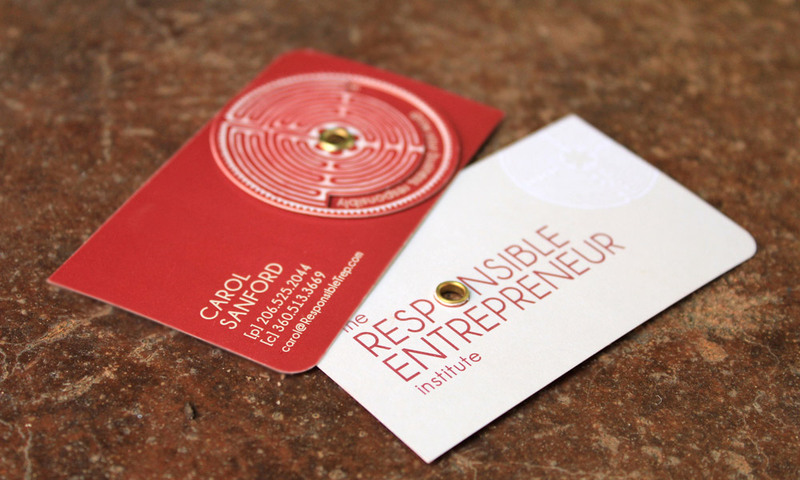 Objective: To build on Carol’s existing brand and create memorable business cards that would cause a lasting first impression and leave people talking. Challenge: We had to add a new spin to attract an audience of innovative thinkers who are used to challenging the status quo. This group is sharp, and the norm wouldn’t cut it. 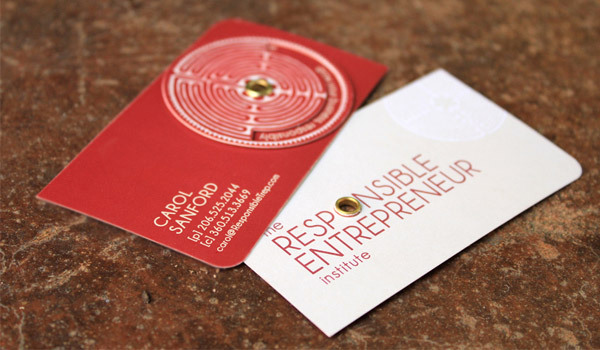 Solution: We took Carol’s existing labyrinth logo and literally put a spin on it – adding a grommet and a die-cut so that each business card was an interactive tool for conversation and engagement. Spinning the labyrinth reveals contact information and a new tagline that makes the brand concept come to life. Delivery: The mother of all business cards. Results: A thrilled business leader and speaker who often gets asked by new colleagues if they can keep her card or if they have to give it back – these cards have such a unique value that they’re perceived as collectors’ items instead of standard business collateral.